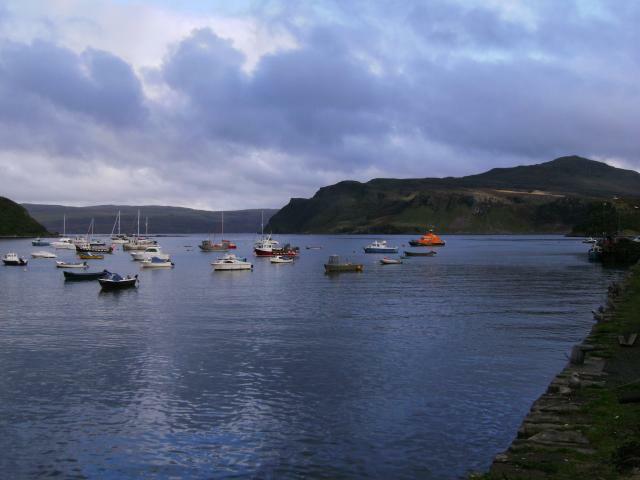 Taken from the Pier road at Portree's waterfront. I fine day to enjoy the exquisite fish and chips from the shop just across the road. View across Loch Portree and out to the Sound of Raasay. To the right rises Ben Tianavaig. Like Schrodinger's cat, The Parlour can exist in two states at the same moment. Until somebody looks at it. Edit: The word "link" removed as requested. The superposition has now been destroyed.